The alpine musk deer does not live in Europe’s Alps. But the species does make musk. It is musk’s use in incense, medicine, perfume, and soap that imperils Asia’s alpine musk deer. Potala Palace rises above old city of Lhasa. Not all of the world’s taxonomized life forms get three names. For example, not all of Asia’s musk deer species have a further separation into subspecies. 1891, with the second subspecies Moschus chrysogaster sifanicus‘s taxonomization by St. Petersburg-born Russian mammalogist, ornithologist, and zoologist Eugen Alexander Büchner (March 20, 1861 – March 17, 1913). Russian scientist Eugen Alexander Büchner taxonomized Moschus chrysogaster sifanicus, Alpine Musk Deer subspecies. Sichuan (in the western part) and Yunnan (in the northwestern part) in the southwest. Rocky, rough slopes inclined 30°. Shrublands of dwarf rhododendrons (Rhododendron spp). Home ranges of 741.32 acres (300 hectares) for does and 2,223.95 acres (900 hectares) for bucks. Sagarmāthā National Park shares its northern international border with Qomolangma National Nature Preserve of Tibet Autonomous Region; both are included trans-boundary conservation area of Sacred Himalayan Landscape. Realizing ever shorter life cycles and natural histories -- 3 years in the wild and 4 years on musk farms – in previously hypothesized life expectancies of 12 – 20 years. 2 fang-reminiscent canines, 6 premolars, 6 molars equally distributed between the left and right upper jaw. Weights of 24.25 – 39.68 pounds (11 – 18 kilograms). Yellow- and white-striped chest, chin, throat. Xining, anciently important site on Central Asian trade routes, is now largest city on Tibetan Plateau. They represent the world’s first generations consistently instructed and practiced in environmental education, sciences, and studies in the classroom and the field. They therefore understand how to reconcile environmental, faunal, floral, and human well-being. East Himalayan Fir (Abies spectabilis) is a familiar tree to Alpine Musk Deer. “Alpine Musk Deer (Moschus chrysogaster).” ARKive.org: Species > Mammals. Retrieved December 17, 2014. “Alpine Musk Deer (Moschus chrysogaster).” iNaturalist.org: Observations > Species. California Academy of Sciences. Retrieved December 17, 2014. “Alpine Musk Deer Pictures and Facts.” The Website of Everything: Animals > Mammals > Artiodactyla > Moschidae > Moschus. Retrieved December 17, 2014. Baskin, Leonard. 2003. "Himalayan Musk Deer: Moschus chrysogaster." P. 340 in Grzimek's Animal Life Encyclopeda, 2nd edition. Volume 15, Mammals IV, edited by Michael Hutchins, Devra G. Kleiman, Valerius Geist, and Melissa C. McDade. Farmington Hills, MI: Gale Group. Bisby, F.A. ; Roskov, Y.R. ; Orrell, T.M. ; Nicolson, D.; Paglinawan, L.E. ; Bailly, N.; Kirk, P.M.; Bourgoin, T.; Baillargeon, G.; and Ouvrard, D. (red.). 2011. "Moschus chrysogaster (Hodgson, 1839)." Species 2000 & ITIS Catalogue of Life: 2011 Annual Checklist. Reading, UK. Retrieved December 17, 2014. Büchner, E. 1891. "Die Säugethiere der Ganssu-Expedition (1884–87)." Mélanges Biologiques Tirés du Bulletin de l’Académie Imperiale des Sciences de St.-Pétersbourg XIII(1):143–164. Cuvier, Fréderic. 1816 - 1829. Dictionnaire des sciences naturelles: Planches. 2e partie: règne organisé. Zoologie, Mammiféres. Paris: F.G. Levrault. Environment and Development Desk, DIIR, CTA. 21 January 2014. “Musk Deer.” Tibet Nature Environmental Conservation Network. Retrieved December 17, 2014. Ferrebeekeeper. 22 February 2012. “Musk Deer.” WordPress.com. Retrieved December 17, 2014. Finn, Frank. n.d. The Wild Beasts of the World. Illustrated with 100 Reproductions in Full Colours from Drawings by Louis Sargent, Cuthbert E. Swan, and Winifred Austin. Volume Two. London: T.C. & E.C. Jack. Gam, Gabriel. 2002. "Moschus chrysogaster: Alpine Musk Deer (Online)." Animal Diversity Web. University of Michigan Museum of Zoology. Retrieved December 17, 2014. Green M.J.B. 1986. "The Distribution, Status and Conservation of the Himalayan Musk Deer (Moschus chrysogaster)." Biological Conservation 35:347-375. Green M.J.B. 1987. "Scent-marking in the Himalayan Musk Deer." Journal of Zoology 1:721-737. Groves, C.P. 2011. "Family Moschidae (Musk-Deer)." In Handbook of the Mammals of the World. 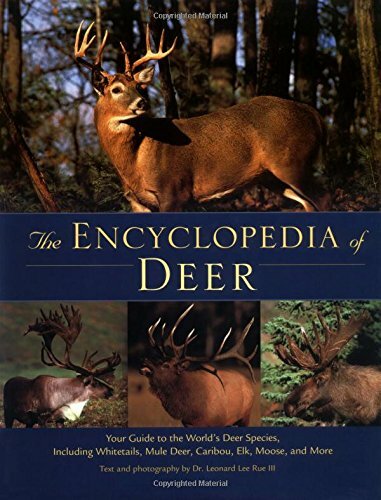 Volume 2: Hooved Mammals edited by D.E. Wilson and R.A. Mittermeier. Barcelona, Spain: Lynx Edicions. Groves, C.P. ; and Grubb, P. 1987. 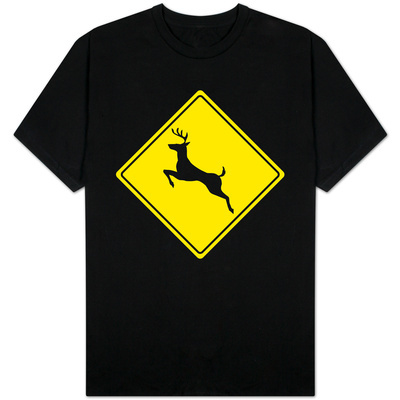 "Relationships of Living Deer." Pp. 1-40 in Biology and Management of the Cervidae edited by C. Wemmer. Washington, D.C.: Smithsonian Institution Press. Groves, C.P. ; Yingxiang, W.; and Grubb, P. 1995. "Taxonomy of Musk-Deer, Genus Moschus (Moschidae, Mammalia)." Acta Theriologica Sinica 15(3):181-197. Grubb, P. 1982. "The Systematics of Sino-Himalayan Musk Deer (Moschus), with Particular Reference to the Species Described by B.H. Hodgson." Saeugetierkundliche Mitteilungen. 30:127–135. Hodgson, B.H. 1842. "Notice of the Mammals of Tibet, with Descriptions and Plates of Some New Species." Journal of the Asiatic Society of Bengal 11:275-289. Israeli, Raphaël. 1988. "China in the Mid Nineteenth Century Visualized by French Consults." Revue française d'histoire d'outre-mer, Vol. 75, Issue 281: 417-447. Joshi, Laxmi Raj. “Moschus chrysogaster (Himalayan Musk Deer).” Forestry Nepal.org: Wildlife biology > High-Altitude Wildlife > Mammals. Retrieved December 17, 2014. Liu, Z.X. ; and Sheng, H.L. 2002. "Effect of Habitat Fragmentation and Isolation on the Population of Alpine Musk Deer." Russian Journal of Ecology 33:121-124. Meng, X.; Yang, Q.F.Z. ; Xia, L.; Wang, P.; Jiang Y.; Bai, Z.; and Li, G. 2002. "Preliminary Studies on the Activity during Summer, Autumn and Winter Season in Captive Alpine Musk Deer." Acta Theriologica Sinica 22:87-97. Milne-Edwards, Henri, et Alphonse Milne-Edwards. 1868 - 1874. Recherches pour servir à l'histoire naturelle des mammifères: comprenant des considérations sur la classification de ces animaux. Tome premier: Texte. Paris: G. Masson. Milne-Edwards, Henri, et Alphonse Milne-Edwards. 1868 - 1874. Recherches pour servir à l'histoire naturelle des mammifères: comprenant des considérations sur la classification de ces animaux. Tome seconde: Atlas. Paris: G. Masson. Mivart, St. George. 1800. Dogs, Jackals, Wolves, and Foxes: A Monograph of the Canidae. London: R.H. Porter and Dulau & Co.
"Moschus chrysogaster." uBio: Universal Biological Indexer and Organizer. Woods Hole, MA: Marine Biological Laboratory, Woods Hole Oceanographic Institute. Retrieved December 17, 2014. "Moschus chrysogaster: Alpine Musk Deer." Encyclopedia of Life. Retrieved December 17, 2014. 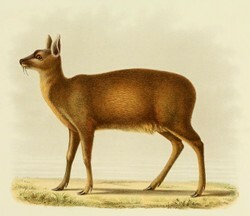 “Moschus chrysogaster: Himalayan Musk Deer.” Ultimate Ungulate.com: Artiodactyla > An Ultimate Ungulate Fact Sheet. Retrieved December 17, 2014. “Moschus chrysogaster Hodgson, 1839.” ITIS Report: Taxonomic Serial No. 625039. Integrated Taxonomic Information System. Retrieved December 17, 2014. “Musk Deer.” I Love India.com: Wildlife in India > Indian Wild Animals > Deer. Retrieved December 17, 2014. Myers, P.; Espinosa, R.; Parr, C.S. ; Jones, T.; Hammond, G.S. ; and Dewey, T.A. 2014. "Moschus chrysogaster: Alpine Musk Deer (Online)." The Animal Diversity Web. University of Michigan Museum of Zoology. Retrieved December 17, 2014. Nowak, R.M. 1999. Walker’s Mammals of the World. Sixth edition. Baltimore, MD; and London, England: The Johns Hopkins University Press. Pickrell, John. 7 September 2004. “Poachers Target Musk Deer for Perfumes, Medicines.” National Geographic.com: News. Retrieved December 17, 2014. Smith, A.; and Xie, Y. 2008. The Mammals of China. Princeton, NJ: Princeton University Press. Su, B.; Wang, Y.X. ; Lan, H.; Wang W.; and Zhang, Y.P. 2001. "Phylogenetic Study of Complete Cytochrome b Genes in Musk Deer (Genus Moschus) Using Museum Samples." Molecular Phylogenetics and Evolution 12(3):241-249. Wang, Y.; and Harris, R.B. 2008. Moschus chrysogaster. The IUCN Red List of Threatened Species. Version 2014.3. Retrieved December 17, 2014. Wang, Y.; Ma, S.; and Li, C. 1993. "The Taxonomy, Distribution and Status of Forest Musk Deer in China." Pp. 22-30 in Deer of China. Biology and Management edited by N. Ohtaishi and H.-I. Sheng. Amsterdam, Netherlands: Elsevier. Xiaofeng, Luan; Changjie, Zhao; Cenyi, Hui; and Xiuxiang, Meng. December 2010. "Seasonal Variation in the Behavior of Captive Alpine Musk Deer, Moschus sifanicus, in Xinglongshan Musk Deer Farm, of China." Zoologia 27(6):848-852. Yang, Q.S. ; Meng, X.X. ; Xia, L.; and Lin Feng, Z.J. 2003. "Conservation Status and Causes of Decline of Musk Deer (Moschus spp.) in China." Biological Conservation 109:333-342. Zhou, Y.J. ; Meng, X.X. ; Feng, J.C.; Yang, Q.S. ; Feng, Z.J. ; Xia, L.; and Bartoš, L. 2004. "Review of the Distribution, Status, and Conservation of Musk Deer in China." Folia Zoologica 53:129-140. Kashmir musk deer are Kashmir Valley natives in west Asia. Their meat, musk, and tusks attract black marketers’ interest. Their populations end up endangered, but not yet extinct.